You can only hope to restrain him. 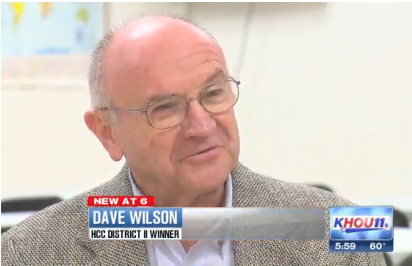 The battle over whether Dave Wilson is actually a Houston Community College trustee could come to a head on Thursday when the 67-year-old tries to take the seat behind the District II placard on the board’s dais. Wilson, a small-business owner and anti-gay activist, spoke after an hourlong hearing about the procedural machinations of a lawsuit the Harris County Attorney’s Office filed last month. County Attorney Vince Ryan is alleging that Wilson was not legally elected to the board in November because he is not a resident of the district in which he ran. 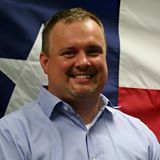 A temporary restraining order issued in December prohibited Wilson from taking the oath of office, but Wilson filed notarized paperwork last week with the Texas Secretary of State’s Office showing he was sworn in on Jan. 1. State District Judge Mike Englehart on Friday asked lawyers for Wilson and the county to file additional arguments about whether Wilson can take office while the lawsuit is being litigated, among other issues. First Assistant County Attorney Robert Soard said the restraining order prohibits Wilson from taking the oath of office, so he is not a legal office holder. Whatever else Dave Wilson may think of himself, he’s not the decider here. 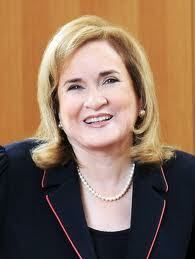 If Judge Engelhart puts a restraining order in place, he doesn’t get to take his seat, and that’s all there is to it. As I said before, HCC would be wise to have lawyers and security present in the event Wilson is legally barred from taking office at that time. They should explain the status of the court case to him, and for whoever else is present, and be prepared to usher him out the door if he refuses to back down. Until and unless he’s legally cleared to be sworn in by someone other than himself, he’s just another member of the public, and he should be treated as such. Obviously, if Judge Engelhart rules in Wilson’s favor then he gets to be sworn in as normal, but if not he needs to abide by that. The law applies to Dave Wilson, too. Since it comes up in the comments every time I write about Dave Wilson, let’s be clear that I don’t fear him taking office for a minute. If he actually has evidence of current trustees or contractors or whoever else acting unethically, or if he has some hot ideas for how to improve ethics on the HCC board, great. Bring it on. But until he actually produces such evidence, or an ethics proposal, I see no reason to take him at his word. For a guy who claims to be a paragon of transparency and ethical behavior, he’s shown a remarkable willingness to push the boundaries of the law, to act deceptively for his own gain, and to be closed-mouth about his own personal information. His support of the deeply unethical Yolanda Navarro Flores at the very least calls into question his judgment about what ethical behavior is. I searched election results going back through 2001 and this is the first time he’s even run for an HCC position in that time, so it’s not like he’s some longtime crusader for this job who finally prevailed. He could prove me wrong – anything can happen – and if he does, great. More ethics is a good thing. I just see no reason to have any expectation of this outcome. I see him as a provocateur, and he managed to catch lightning in a bottle. What he does with it if he gets the chance remains to be seen, but my expectations are decidedly low. A cursory look at the invisible races. In District 1, incumbent and former state representative Yolanda Navarro Flores faces political newcomer Zeph Capo. 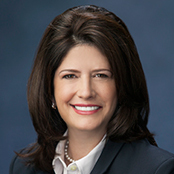 The District 3 showdown features incumbent Herlinda Garcia against educational consultant Adriana Tamez. Tamez, 50, cited her background as an HISD teacher and principal as well as a former deputy executive director with the Texas Education Agency as reasons why she is the best candidate. 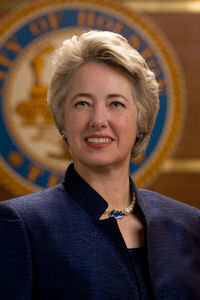 “A big piece for me is working to make sure we regain the trust of the community, that we’re going to do what’s right and always keep students, the college and the city of Houston at the forefront,” she said. Neither Yolanda Navarro Flores nor Herlinda Garcia – the two incumbents, mind you – could be reach for comment for the story. Way to be accountable, y’all. You should of course be supporting Zeph Capo, and if I were in District 3 I’d vote for Adriana Tamez. I haven’t followed District 5 as closely, but if you’re into partisan affiliation Robert Glaser is the Democrat in the race, and he collected most of the endorsements, including the Chron‘s, in November. If you want more information, my colleague Texas Leftist did candidate Q&As with Glaser, Tamez, and Capo, and my interview with Capo is here. Remember to vote in these elections, and please vote wisely. I had wondered if partisan affiliation might be a factor in the HISD 7 race between Republican incumbent Harvin Moore and Democratic challenger Anne Sung. Like Houston races, HISD Trustee races are officially non-partisan, but also like Houston races, people tend to know what team everyone plays for. What did the precinct data tell us? That’s pretty strong evidence right there. Sung got 61.6% in Democratic district C, Moore got 61.2% in Republican G. District G was the bigger part of HISD 7, so Moore won. For a Democratic challenger like Sung to win a race like this in the future, she’d either need to at least double the turnout in the District C part of the district, or she’d need to win a decent number of crossovers, or both. So now we know. Basically, Zeph Capo needs to win the District C part of the district. That’s the biggest part of the district in terms of turnout, but it needs to be maximized, and Capo needs to get Kevin Hoffman’s voters to come to the polls for him. Kevin Hoffman confirmed for me via email that he has endorsed Capo in the runoff – he also shared this open letter he sent to the Board with his hopes for their direction going forward – so if you supported Kevin Hoffman in Round One, you have no reason not to support Zeph Capo in Round 2. Capo has a lot of ground to make up, but he also has a lot of potential supporters available if he can reach them. Dave Wilson chuckles as he talks about his unorthodox political campaign. “Every time a politician talks, he’s out there deceiving voters,” he says. This is the story the Chron should have written but hasn’t. I can tell from my referral logs, which are showing links to that latter post from a variety of locales, that this story is going national. I want to stress that while Wilson’s campaign tactics were dishonest and cynical, they’re hardly unheard of, and they’re far from the worst things Dave Wilson has ever done. In the pantheon of campaign sins, they’re venial, not mortal. But pay attention to Wilson’s tone and the obvious pleasure he’s taking in having put one over on the voters. On top of his long history of hatred, that’s the kind of person we’re getting on the HCC Board of Trustees. It’s easy to point a finger at the voters for being duped, but let’s be honest. Most people have no idea who their HCC Trustee is. Most of us have little reason to interact with our HCC Trustee, unlike our State Rep or our district Council member or school board trustee. It’s telling that Wilson was able to pull this off not while running for an open seat against some first-time candidate but against a 24-year incumbent, running for his fourth re-election. Bruce Austin did run a campaign, but it wasn’t enough, and he didn’t have sufficient name ID to overcome Wilson’s stealth attack. And so here we are. The best defense against this – really, the only defense – is to be an informed voter. Don’t vote for someone unless you have at least some idea who they are. Better to skip a race than to accidentally cast a ballot for the likes of Dave Wilson. In the meantime, let’s shine a light on the other candidates that Wilson helped support and be sure to do what you can to get Zeph Capo elected in December It’s too late to stop Dave Wilson, but we can stop his friends. The Makeshift Academic and the Observer have more. 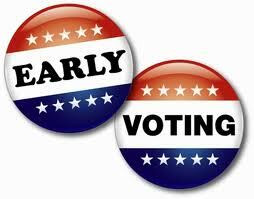 Early voting for the District H special election begins tomorrow. Here’s the Chron’s usual overview story on the race, in which each candidate gets a paragraph of biography and a paragraph of quotation. Dunno if that’ll help you make up your mind if you’re still undecided, but there it is anyway. I assume tomorrow we’ll get the Chron’s endorsement for the race. At least, I hope so. Yesterday was the filing deadline for the District H special election. Usually, that brings a last-minute surprise in the form of an unexpected candidate. This time, it brought a different kind of surprise. As one of the first people to declare her candidacy to replace Adrian Garcia in the District H City Council seat, Karen Derr seemed to have lined up all her ducks in a row. The Realtor and potential candidate apparently forgot to file her papers with the City Secretary by yesterday’s deadline. Officially filing the paperwork in candidacy 101. Derr had done everything else by the book. 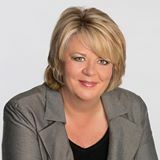 She started a website (which was just taken down), appointed her husband treasurer, and had a high name ID thanks to her real estate business. The City Secretary’s list does not show Derr, and that is a major break for Maverick Welsh, the former Chief of Staff for Council Member Peter Brown. That’s a shame, and I feel bad for Karen. She’d certainly been an active campaigner – there’s a ton of her yard signs in my neighborhood, and we’ve been contacted twice by her team, once on the phone and once at the door. Nobody else has done that yet. I hadn’t made up my mind who was going to get my vote in this election, but she was certainly on the list of possibilities. Her departure makes my decision a little easier, but it’s still a shame. Derr tells 11 News that she thought the city’s deadline matched a state deadline for special elections, which is not until later this month. “You dust yourself off, and you try again,” she said. She added that supporters are urging her to either mount a write-in campaign or run for an At-Large seat in November. Derr says she has not yet made a decision, nor is she ready to endorse another candidate. I doubt she’ll do the write-in thing. There’s just no percentage in it. I do have a feeling she’ll be getting a bunch of calls from other candidates, as an endorsement from her ought to carry some weight. I’ve got a statement from Derr beneath the fold. So with Derr out, who’s left? It’s still a long list. The order on the ballot, which was determined by a drawing according to a longstanding tradition set up by the city secretary, is as follows: Edward “Ed” Gonzalez, Lupe Garcia, Gonzalo Camacho, Hugo Mojica, Larry Williams, Maverick Welsh, James Partsch-Galvan, Yolanda Navarro Flores and Rick Rodriguez. Williams ran against Adrian Garcia in 2005 and got 22% of the vote. 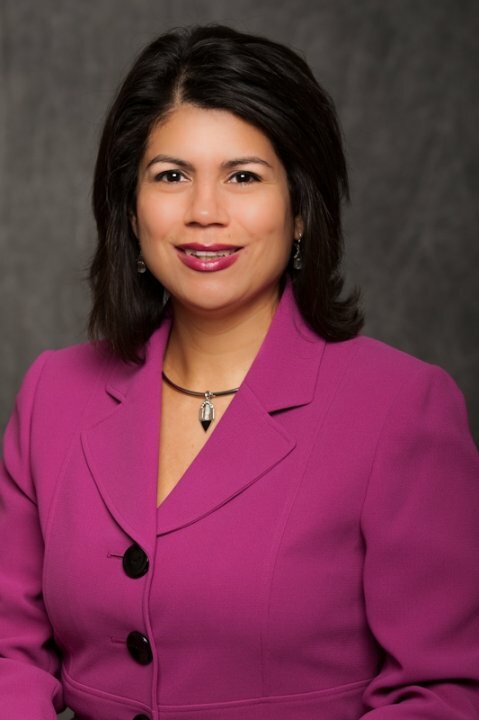 Partsch-Galvan has run in multiple elections before, including in 2005 against Shelley Sekula Gibbs, getting 27%. The other candidates had all been actively running for awhile and had participated in the first candidate forum. I attended the District H candidate forum that was presented by the Shady Acres Civic Club last night. Eight candidates were in attendance: Gonzalo Camacho, Karen Derr, Yolanda Navarro Flores, Lupe Garcia, Ed Gonzalez, Hugo Mojica, Rick Rodriguez, and Maverick Welsh. That makes the logistics a bit unwieldy, but the Shady Acres folks and moderator Nancy Wilcox did a good job of keeping things on track and moving. You can see photos of all the participants here along with a list of questions they were all asked; the questions were sent to them in advance, and some of them have submitted written answers as well – there are links on the sidebar to those answers. I’m just going to give general impressions here. I thought the candidates generally came off pretty well. Nobody made me cringe or wonder what they were doing up there, as was the case with a couple of non-entity candidates (neither of whom was ultimately on the ballot) at a Mayoral forum our neighborhood association hosted back in 2003. There was a lot of agreement among them as they answered the questions that were posed to them. This was partly an artifact of the limited time they had to answer the questions (90 seconds each), and partly because the candidates are not too far apart in outlook and ideology. There is a broad range of backgrounds and experiences among them – the candidates include cops, lawyers, teachers, realtors, civil engineers, and business owners – and it’s clear they have different priorities and approaches. But at this stage of the game, there wasn’t that much dissonance among them. I assume that will change for the runoff, at least to some extent, but for now things were very civil and pleasant. We’re about ten weeks out from the start of early voting. This is going to be a low-turnout affair, so it’s really important to try and get to know these folks, because with such a big field and with many of them having some base of support to begin with, it’s impossible to say who might make the runoff. There are at least two more candidate forums coming up that I know of, one of which will be held by the Greater Heights Democratic Club in March. I really urge everyone in H to make an effort to attend some event or meeting or whatever where these candidates will be and ask them whatever questions you may have. The odds are good they have been or will be at your neighborhood association’s meetings. The difference between making the runoff and not will likely be measured in something like a few dozen votes, so make sure your voice gets heard. I will be conducting interviews with all these candidates starting next month. I still have to figure out who I’ll be voting for. In the meantime, take a look at the Shady Acres page and the candidates’ answers that they have so far and get acquainted with them. It’ll be time to vote before you know it. Ed Gonzalez will have a campaign kickoff event for District H next Wednesday, February 11, at Irma’s Restaurant downtown from 5:30 to 7 PM. You can get all the details here (PDF). We’re rapidly approaching the filing deadline for the May special election, and from there it’s going to be an absolute sprint to the finish line – well, the first finish line – in May. As we know, there are seven declared candidates so far, with two more in the wings. That can all change, but for sure this is going to be a crowded field, and everyone in the running is going to be hard-pressed to get their message out. I’ll do whatever I can to pass along event announcements and other news, and of course I’ll be working on doing interviews with everyone. If you’re a candidate or associated with one, and haven’t contacted me, please do so I can make sure I get your information as well. Finally, I note that Gonzalez was at that Heights crime prevention townhall meeting, and posted a report about it on his blog. So there you have it. The names in italics are folks who are at least rumored to be running but who have not yet filed. Nobody has made a move towards At Large #1 yet, currently held by Peter Brown. I figure no one will do so until he does his formalities for the Mayor’s race. I see freshman Member Mike Sullivan has an opponent – he’s the only incumbent so far to get one, though he surely won’t be the last. Lupe Garcia in District H is a new name to me – I’ve just stumbled across a Facebook group in support of his candidacy, but the man himself doesn’t appear to have a profile. Does anyone know anything about this person? Yolanda Navarro Flores had not filed as of Monday, but yesterday afternoon a press release announcing her candidacy (reproduced beneath the fold) appeared in my inbox. I also got a release for Mike Laster, who had filed but hadn’t made a formal announcement yet; that release is beneath the fold as well. Finally, there’s a release from Noel Freeman about a Facebook fundraising campaign he’s got going on. Miya and Greg have more. Anybody hearing anything else they’d like to add? I’ll say again, I do not know why this information is not available on the web. I cannot think of a single good reason why it shouldn’t be. From the conversation I had with someone in the City Secretary’s office, I get the impression that this is extra work to them, which is probably why it’s not any kind of priority for them. It seems to me that the right answer is for the city to hire someone for whom handling elections and election-related activities like campaign finance reports is their primary duty. It was kind of amusing that the city didn’t get around to posting campaign finance reports online until 2007. It’s deeply embarassing that we can’t even get a list of candidates who have filed a simple report, not to mention a peek at those reports themselves, in 2009. What century are we in again? Let’s get with the program already.